Sussex Forklift Training provides operator training for both novices having never operated a tow tractor before and experienced operators who require refresher training. We train on all makes and models as well as offering conversion courses from one tow tractor to another. 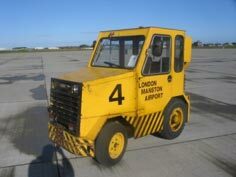 Tow tractors are generally used in the airport and automotive industry where they are used to tow trolleys, baggage carts and other various equipment, although can often be seen in warehouses, resorts, hotels, production facilities and shopping centres. They come in many sizes and towing capacities from 3 wheeled electric to diesel powered machines with a towing capacity up to 50,000 kgs. Most common types are capable of towing up to 10000kgs and are usually powered by electric or diesel. 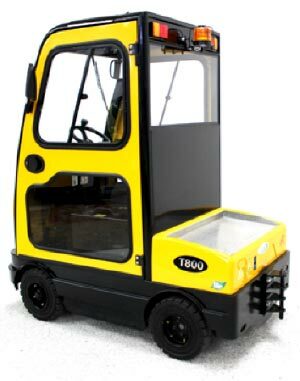 Sussex Forklift Training provides operator training for both novices having never operated mobile lighting units / towers before and experienced operators who require refresher training. 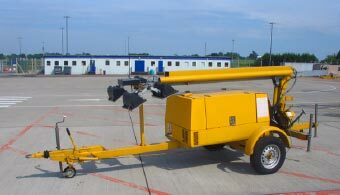 Typical uses are motorway repairs, construction work, emergency and security lighting. They may also be used at outdoor functions and anywhere that requires the area to be well lit during hours of darkness. 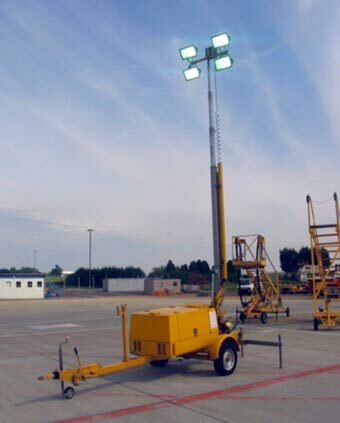 The lighting towers are towable units which consist of a chassis mounted diesel generator which is linked to an elevated mast, the top of which is usually fitted with 4 halogen lamps.